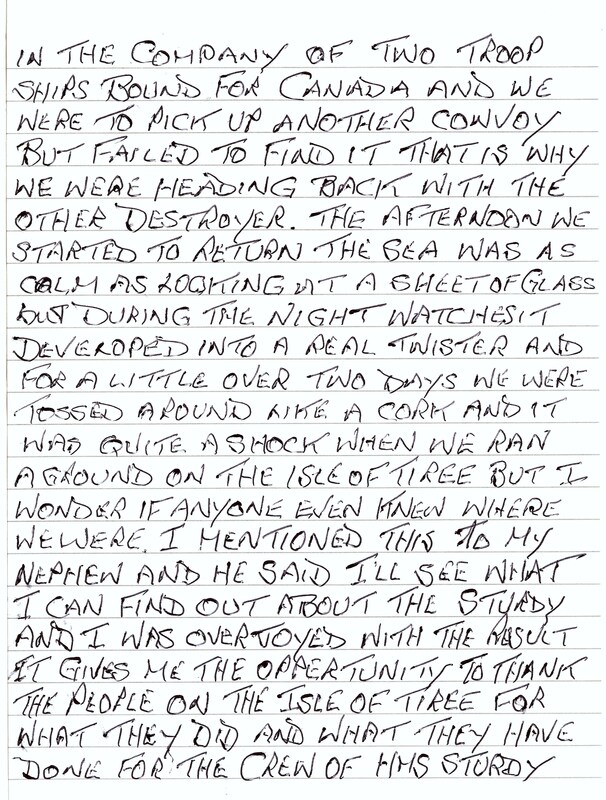 Letter from AJ Gallier (survivor of HMS Sturdy) to An Iodlann, 2011. Handwritten letter from Mr A.J. Gallier, Shropshire, to An Iodhlann dated 2/1/2011. 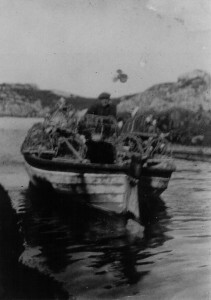 A Gallier was one of the sailors who survived the wrecking of HMS Sturdy on rocks at Sandaig in 1940. 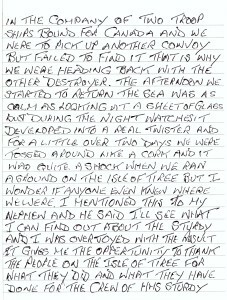 His letter gives an account of the disaster and expresses his thanks to his rescuers and hosts on Tiree. 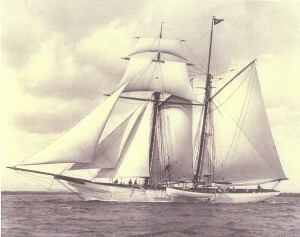 Mr A.J. 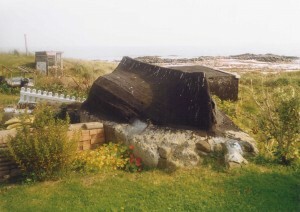 Gallier was one of the crew of the destroyer HMS Sturdy when it foundered on rocks at Sandaig during WWII. 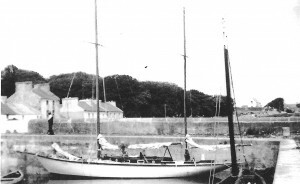 His letter to An Iodhlann in 2011 gives an account of the disaster and expresses his thanks to his rescuers and hosts on Tiree. I am a very proud niece of mr Albert Gallier he is now 97 years old on reading his letter I cannot help but try to picture just what it would have been like to be aboard a ship that was floundering on those rocks how sad that he lost some of his ship mates but I thank goodness that he survived he must have had a gardian angel watching over him during the war years ,he survived 3 sinking ships I would love for him to be able to recall his time in the navy but at the moment hes not very well I just want to say to all you people who were so caring during that day a great big thank you he is the last member of my mothers family left.